Still undecided on whether our venue is perfect for your wedding? Read the following testimonials from happy couples who have tied the knot at Trapp Family Lodge to help make your decision easier. "Our wedding was perfect because of Saunie and the von Trapp family and staff. We have wonderful memories that we will share with our guests for a lifetime." "We were married at Trapp Family Lodge on July 1, 2017 and could not have had a more perfect wedding. We had a small wedding and so many of our guests complimented us on the gorgeous location, the delicious food and unique selection of drinks, and the quality of the service... We really could not have had a more perfect day and loved having our wedding at Trapp Family Lodge. Outside of our wedding day, our stay at the Lodge itself was lovely. The staff was SO friendly and helpful and the Austria Suite was gorgeous. We had massages the day after our wedding and took a walk around the property and it was an amazing way to relax together. We cannot recommend Trapp Family Lodge enough." Trapp Family Lodge offers a trail network of incomparable beauty and challenge. For either skaters or traditional, there are degrees of difficulty for skiers at all levels, while always in the midst of poetically pleasing vistas and views or the quiet serenity of the uncluttered forest. Not unlike Glenn Gould's offering of the Bach partitas and sonatas. The new Bierhall is a stunning addition to the total offering - food and drink to please the most discerning patrons. From my perspective I park the car on arrival and return to it upon departure - challenge, rest, relaxation, great food and drink all making for an unsurpassed experience." "You could not ask for a more epic setting for a perfect wedding weekend. This has got to be as good a venue as you can possibly find in Vermont. We hosted our wedding with the ceremony in the concert meadow, with the Green Mountains providing the perfect backdrop, before our guests moved across the street for the cocktail hour and reception by the open air wedding tent. The location itself is beautiful, expansive and well maintained, leading to a great feeling of privacy for the reception with the main lodge a short walk up the road. The food and beverage service was excellent and overall our guests were raving about what a great party we had." 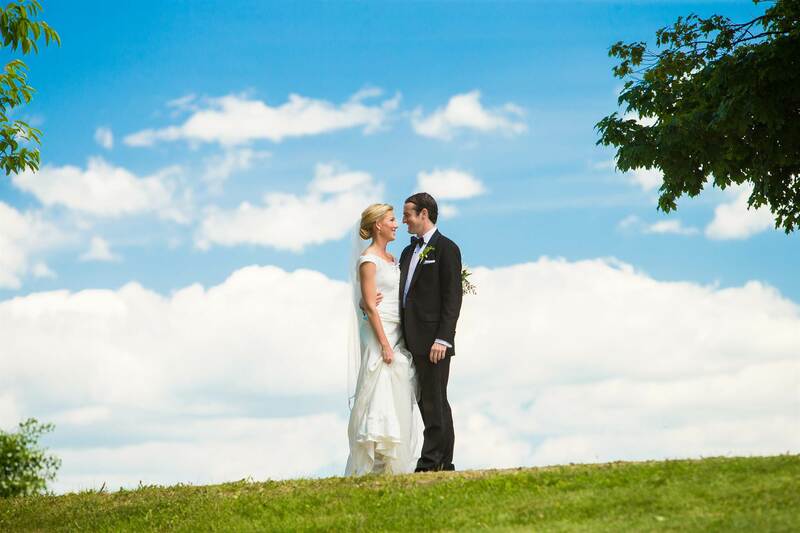 "We had a lovely wedding weekend at Trapp Family Lodge. Our guests who chose to spend a night at the venue really enjoyed the convenience of staying at the venue where we were married. Both our parents stayed for the weekend and were really happy to be able to have a mini vacation while attending our wedding. The amenities offered are nice- especially the pool during the summer to keep kids entertained. The location is stunning - we had our ceremony in the Concert Meadow on a gorgeous summer day, and it was exactly what I was hoping for. The day before our wedding we hosted a Rehearsal Lunch in the gardens which was equally stunning. If you've dreamed about an outdoor wedding ceremony with a mountain backdrop, you should consider this venue!" For more reviews, check out our page on Wedding Wire!